Paris, at the dawn of the modern age: Prince Sebastian is looking for a bride―or rather, his parents are looking for one for him. Sebastian is too busy hiding his secret life from everyone. At night he puts on daring dresses and takes Paris by storm as the fabulous Lady Crystallia―the hottest fashion icon in the world capital of fashion! 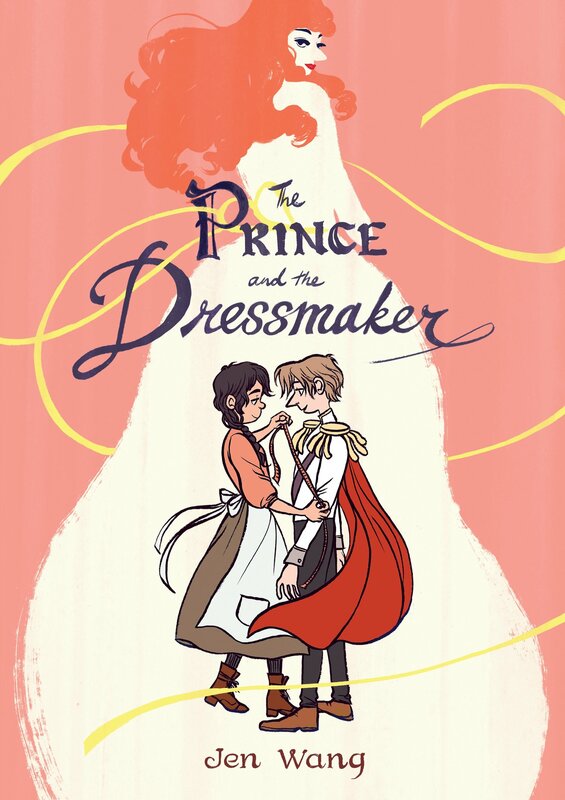 Sebastian’s secret weapon (and best friend) is the brilliant dressmaker Frances―one of only two people who know the truth: sometimes this boy wears dresses. But Frances dreams of greatness, and being someone’s secret weapon means being a secret. Forever. How long can Frances defer her dreams to protect a friend? Jen Wang weaves an exuberantly romantic tale of identity, young love, art, and family. A fairy tale for any age, The Prince and the Dressmaker will steal your heart. This title has Common Core connections. epaulettes (Grade: A+) An absolutely gorgeous graphic novel where a prince meets his match in a dressmaker who is able to make his alter ego, a daring Parisian fashionista, come to life. I debated whether to tag for "genderfluid character." Some of the Prince's language ("some days I feel like I'm actually a princess") came off that way, but also crossdressing on its own is valid, etc, so I left it alone. Whatever is going on there, this is a story that champions creativity and acceptance, and it was a true delight. RemusLupin (Grade: A–) Really cute, heart-touching story about identity and acceptance with absolutely beautiful art. Highly recommend, even if you don't usually read graphic novels. Will definitely be buying a copy to keep on my bookshelf. DRHPaints (Grade: B) Though I can't say the artwork was my taste, I must say I loved the idea of this graphic novel. I'm excited to see that there's a good option out there for teaching kids about the varieties of gender expression in an honest and inclusive manner. bookishbunny (Grade: A+) Wow. This just blew me away. A beautiful story about identity, acceptance, and being true to yourself. The artwork is as wonderful as the story and the message. I'll definitely be revisiting this one.